What comes first when selling your home? Choosing the right real estate for you and your property is a critical decision that shouldn’t be rushed. There are many real estate agents available to help you with selling a property, but finding the right one takes some thought. Your chosen agent should be an expert negotiator and property marketer, but there are some other things to consider as well. Listing your property is the first step in your journey as a property seller. Your Better Homes and Gardens® Real Estate agent can help you sell your property in a timely, stress-free manner. What about marketing the property? Marketing your property successfully can help to find a buyer quickly and ensure a smooth selling process. A successful marketing strategy can be broken down into 3 important elements: price, method of sale, and promotion. There are two major considerations to be made in regards to price – the price at which the property will be promoted, and the expected sale price. The selling price of a property is determined largely by the collective sentiments of interested buyers and in particular, those who actually negotiate a price. Potential buyers have all kinds of information available to establish their own opinion of a property’s value and enlisting the help of an expert real estate agent will assist in achieving the best price possible. Is your property in a desirable location or a less desirable location? Is your property in good condition and well maintained or does it need some repair work? Is your property equipped with modern and desirable amenities? 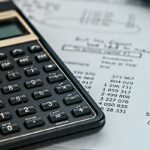 After establishing the value of your property with your estate agent, it’s time to work out the best pricing strategy to suit your requirements. When using a fixed price or price range indicator it’s essential that the price you’re promoting is in line with current trends in the real estate market. Setting a price too high will discourage potential buyers and setting a price too low will leave you little room to negotiate upwards. There are also legal factors related to the advertised price which your estate agent will discuss with you in full. By using a ‘no price’ strategy, your agent will seek to target a particular type of buyer or target market. 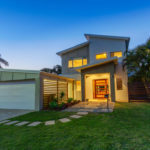 They may be buyers looking for a home in a suburb or a particular property type in your area. Once your agent establishes the needs of a potential buyer and the current trends in the market, a price can be established. There are two main methods for selling your home, through an auction or a private treaty. An experienced real estate agent will advise you on the method that is best for your circumstances. It’s important to remember that you, the seller, will always have the final say as to which method is chosen. The contract will contain the seller’s instructions to the agent regarding the method of sale, promotional program, marketing plan, agreed budget for advertising etc. For further advice on listing agreements, contact your local industry body, such as the local Real Estate Institute. For more help with selling a house or selling your home, contact your local Better Homes and Gardens® Real Estate branch today.